Did you know fly reels go all the way back to 1874 and were developed by a gentleman named Charles F. Orvis? The fly reel has been going through its development stages ever since with anglers like yourself improving it through experience and know how. Some of the most frequent questions are when should I be using a fly reel and can they be used in freshwater or saltwater sources? Like other reels, fly reels have best use scenarios that you will want to use them and somewhere other reels will probably be best suited for you. When going through the fly reel reviews you will be able to get a better understanding as to what the best fly reels are on the market. Having the peace of mind knowing and making sure you get the right reel type for the kind of fish you plan to catch and your specific needs. This big reel has incredible drag and best in class style and look for a fly reel. The die-cast makes up is matched with a heavy duty, interlocking, spool design that has the design and functionality of a premium reel. A professional strength carbon fiber drag system brings in a lot of performance, reliability, and durability. 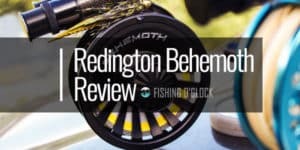 Designed for small and large fish, Redington has delivered the goods with this reel. Anglers have commented that no other reel comes close to the brute strength of the Behemoth’s class. Those are some bragging rights! The ease of use is great for a beginner or more experienced angler, just whatever you do don’t drop it! It’s been known to break a bit easier than other reels. 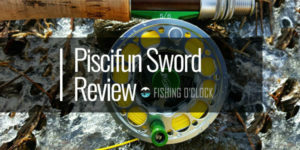 With its machined heavy duty, anodized construction, the Piscifun sword fly fishing reel was built to last. It’s suitable for handling all types of weather situations. 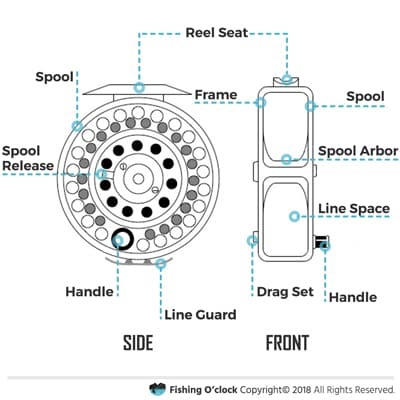 Piscifun has created a reel that has the “Mid Arbor” design. This type of design allows you to get more line capacity in comparison to a large-arbor reel. 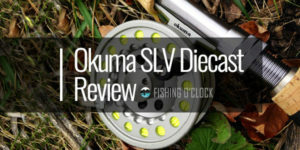 Which provides for a lightweight reel with a great line retrieval rate. Adding to the features of this reel is the concave spool which adds strength to the reel along with great line capacity. It’s designed with multi colors and has the look and feel of much higher end reels on the market. This reel does come from the manufacturer with a left-handed configuration but can be used either with left hand or right hand. Great design that is durable and light. The frame consists of strong aluminum which has rust and corrosion resistant properties. One noteworthy attribute of this fly reel is its high performing drag system. It can handle Its stainless steel roller bearing guarantees the drag moves in one direction only, and the brass bushings provide the angler with a smooth and efficient performance that seems effortless. You can adjust the drag easily with a small wheel and the stainless steel washers will provide for smooth retrievals and casts. This lightweight and economical reel has been built and designed for multi-environment uses. It’s a great reel at a great price that has more than enough features to satisfy your needs. 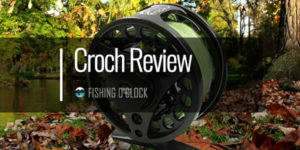 Croch designed this reel to be very light and well balanced. Even though it’s light, the reel consists of high quality and very durable aluminum. This makes the reel’s longevity and resistance to the elements great benefits. Due to the anti-corrosive attributes of this reel, its suitable to use either in freshwater or saltwater. Also, you don’t need to worry about rusting. 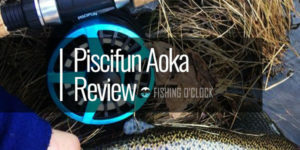 The Piscifun Aoka Aluminum Fly Fishing Reel is one of the best budgets minded reels on the market. Its many features add up to some real advantages over other reels in the same price and class range. It’s a mid-arbor and great drag system provides a smooth reeling experience. A stand out feature of the Aoka fly reel is the consistent and reliable drag system which can be switched from a silent drag to a click drag effortlessly. It’s made out of cork and Teflon and designed to last. You can rest assured that even at its budget price, this reel’s drag system can handle a lot. This reel was designed to be lightweight and strong with enhanced durability. The Liquid reel was designed with a very smooth and high functioning drag system and forged with high-quality parts. The reel was built well and designed to keeps out the water, dirty sand and snow. The reinforced drag system creates a reel that has a flawless and reliable operation in any season. Die-cast reels can be viewed as a low-cost alternative to machined reels but this reel has advantages that can only be offered in a pressure cast process such as near zero radius insider corners and radiused compound curves and to get a precise fit and finish, cast parts are machined in critical areas. This adds a lot to the heavy-duty performance of this reel. The Ross Animas’s series features a 100% machined aluminum frame and spool that can hold up to a lot of wear and tear that anglers throw at it. The reel features a self-lubricating, durable drag that requires very low maintenance and that is versatile in its use in saltwater and freshwater sources. The composite drag system really reinforces the perception that Ross has put a great deal of thought into creating this reel series. Another stand out feature of this reel is the quick release spool can easily be switched out when you need to do perform a line change. 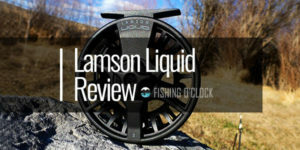 A great feature of this reel is the reverse taper functionality of the handle that gives a lot more comfort and control when out fishing the whole day. Anglers like yourself have commented on how great looking this reel is and that the versatility with left or right handed operation is a real consumer-focused enhancement. A well-designed reel from Piscifun that requires very little maintenance due to the sealed drag system. What this allows (or more like it, doesn’t allow) is for dirt, debris, water or salt to not penetrate the components of this reel. It’s an ideal design for saltwater or freshwater fishing. Another part of the drag system that warrants a high five is the alternating stainless steel and Teflon design that provides a stronger more robust drag experience. The CNC machined design adds to the durability and strength of this reel. The considered design also keeps it lightweight and won’t cause as much fatigue as other reels with its ventilated spool. With its compact design and budget-friendly price, the Dragon Fly Reel really shines through with its feature set. Its lightweight design is built for longevity for many fishing trips you will be taking it on. The Dragon Fly Reel is built with a graphite disc system that offers a reliable experience. This reel comes with a very large arbor. Adding to the durability and longevity of this reel is the machined Aluminum materials used. It makes for a wonderful angling experience. This reel was designed to enhance the fishing experience through its design and high-quality parts. The manufacturer has even included a protective storage case as standard issue. The Echo Ion has been built with a strong aluminum construction from strong alloys, that are weather resistant and can be used in freshwater or saltwater fishing. Expect this reel to last you a long time. The drag on this reel is designed with a Rulon disc system that employs a low start-up resistance. Easy to turn and with positive click feedback, the drag adjustment knob is a breeze to use and very angler friendly. The large arbor lets anglers reel in line quicker than traditional, older designed spool fly reels. The construction has been designed airy, which lets you show off your fly line and backing. Large Arbor designed reels are a classic that most anglers appreciate. Some anglers have commented that this reel can be a bit heavy compared to others in its class and price point – This might lead to fatigue over a long period of time. Orvis has designed another great reel that has both the frame and spool made with aluminum being CNC machined. The heavy duty aluminum design makes the reel extra-rigid which is perfect for when you need to use a lot of pressure fighting aggressive fish. The large arbor reel design is the traditional arbor used in the Mirage series. It allows for a quick, smooth line retrieval. The CNC machined spool gives you a large amount of line capacity, and that coupled with the large arbor gives you a greater than average line retrieval rate. The drag system on the Mirage is fully sealed and designed to keep out water, dirt, debris, and sand. This great feature means it can be used in either saltwater or freshwater sources. This spool, thanks to the quick release pool can easily be changed from right hand to left-handed use or vice versa. This fully machined aluminum reel is packed with features. It’s been designed with the end user in mind. Through the interchangeable left/right handle and it’s easy to grip large handle, Galvin has really taken the time to consider the angler in mind. Where this reel excels at is the quality and power of its drag system. The Rush LT packs a lot of drag in a very smooth operation with minimal start-up inertia. This reel, with its high quality, machined construction is weatherproof as well. It can stand up to the elements and can be used for freshwater or saltwater fishing. The Rush Light based on its great price, highly coveted feature set, durable construction is the best fly reel for the money at this point. It’s highly reliable and built to last for a long time so that your enjoyment is maintained and so does your great investment. Figuring out which fly reel you need is just like other reels. It’s mostly about context. You need to ask yourself the “where’s” the “how’s” and the “why’s”, etc. Let’s take a look at some of the variables you should keep in mind when buying a fly reel. The basic system that performs by turning the handle which rotates the spool. One turn equals one rotation. These do things differently, depending on how you have your gear ratio- these reels can turn different at rotations, 1 or 2, etc. and not just one like a single action reel. In contrast to the other 2 systems, automatic reels create tension with a spring device that you enable. They store tension as the line is fed out. When you decide to retrieve the line, the safety latch releases by a trigger. This allows the spool to spin back very quickly which pulls in the line from the water. For basic fly fishing and for beginners to go with a single action reel, it’s more than fine. It’s the best way to start with fly fishing due to its simple ease of use and low learning curve. The arbor of the reel is the wheel that stores the line. Small arbors, physically speaking, are less than large arbors and cost less as well. It makes better sense to use a small arbor for most fishing scenarios due to the cost and weight differences. It will help you reduce fatigue if you plan to be out fishing all day. If you are looking to angle the big, aggressive fish, you will need a large arbor; since it can store much more line compared to a small arbor. Mid arbor sizes offer most of the benefits of the large arbor without all the weight and size. Line weight is related to spool size and arbors. You need to figure out what type of spool, arbor, and fish you will be looking to catch to decide on line weight. Lightweight lines are better served using a small arbor. Spool size does change if you use a small arbor, but because the larger arbor can handle more weight and line, it has more leeway. Spool size helps the drag system work smoothly, which reduces the possibility of a big fish snapping and breaking your line. Like all other reels, the drag operates to reduce the speed of the line and to have the reel make a full stop when the bait has been taken. A drag system that is high performing is critical to any reel and fly reel fishing is no different. High-performance drag systems ensure you get a lot of life out of your equipment by controlling the operation of your line and making sure it runs as smooth as possible. Click and Pawl: Have a spring geared tension system to activate the drag. Pressed discs/Disc-Brake: Disc brakes, not a spring gear, create tension to stop the line. The 2 drag systems both are adequate and work as they should. The disc-brake system does, however, provide more options for drag. Lighter is better. Most people want light devices when they must carry them around all day. This makes for a nice, fatigue-free day of fishing. For example, you want to ensure that your whole rod, reel, and the line is correctly matched. If your line is a 5-weight line, you need to use a rod + reel in the 4 to the 6-weight range for optimum performance and to make sure there are no balance issues. More reels that are targeted towards the price-sensitive crowd are made with metal stamping. The reel is heavier, less strong and not as durable. You kind of get what you pay for. Reels that are mid-tier but made with a stronger die cast manufacturing process which makes the reel rugged and more durable than ones created in cheap construction. The best reels are machined steel. It’s a computer-guided precise design and is the only reel type that can be anodized for extra strength. Most reels come in black or natural chrome, they do come in different colors. Matte finishes won’t reflect onto the water- while natural chrome ones might. Some have indicated that you won’t scare face with a matte finish because there is no glare onto the water. 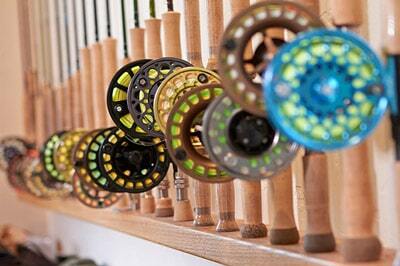 There are other variables to consider when approaching the topic of which fly reel to buy. What kind of fish are you targeting? Think about your target species and get to know a bit about them. For example, if you want to catch lake trout, you may need a reel with a large arbor and lots of lines, as they are usually in deeper waters and make a run for it once they are hooked on the bait. Some fly reels work better and are more optimal for certain water environments. An example would be if you enjoy ocean fishing or other salty waters, get a reel that is durable against the saltwater and corrosion. If you will be walking through a lot of bush to get to the water source or through mud and different terrain, you will not want a heavy reel and rod combo. If you are just starting out, stick to simpler designs and don’t go heavy duty and spend a lot of money on something you might not use. Get to know the basics and work your way up. How to Decide Fly Reel Size – What Works Best? There is no exact science for when you need to select the proper reel size that you need. There are a few considerations to make during the selection process that will help eliminate factors that you don’t need to think about. There is no one size fits all for this virtually all fly reel manufacturers design reels for specific line weights. The logic behind this is that when the line’s weight increases so do the diameter. A thicker line takes up more space on the reel. And the thicker a fly line is, the more space it occupies on the reel. Rest assured that most manufacturers make reels that can accommodate a big range of line weights- so you probably won’t pick the wrong one if you target it down enough. How many backings do you need? Beginners are not aware that fly line by itself is not a complete system. Most fly lines are shipped with a standard length of 90 feet. It’s more than enough to get your feet wet, as they say when angling for great fish. The correct amount of backing needed is based on the size and strength of the fish you want to catch. It’s critical that you consider both when buying a reel. You do not want to buy a reel that is heavy with a lighter rod and vice versa. It will throw your fishing balance off and create bottleneck issues as you go along. Like other reels, fly reel fishing in saltwater environments has certain characteristics that make it suited for the corrosive, salty terrain. Let’s take a look at some factors to look out for when selecting the best saltwater fly reel for yourself! When it comes to deciding on your saltwater fly fishing reel, you need a reel that can handle the harsh elements of the ocean, namely saltwater. Look for saltwater reels that have a fully sealed body and bearings. This will make sure that no saltwater can get into the inner workings of your reel, making it very resistant to getting damaged. A reel made out of anodized steel is mandatory. The reason why is that the anodization process provides the metal with a durable and corrosive-resistant coating. This process will ensure that the reel will not warp or bend when angling for those big, aggressive fish. You want a drag that’s sealed and protected from the elements. You want to use a disk drag system for saltwater as it offers more resistance. Choose a large arbor when you saltwater fish with a fly reel since it increases your retrieval rate and makes it easier to fish and it saves you time. Lighter is better – You want a CNC machined saltwater fly reel that will handle the big task of those large saltwater fish while not being too heavy. Bass is a strong fish species and you will need a good fly reel with a quality design. Here are few tips and things to look out for when picking the right fly reel for the might bass! You will need a durable, heavy-duty reel for the strong bass – Make sure you get one that is CNC machine printed with an anodized coating for added durability. Look for a good drag system with all aluminum construction. You want to make sure that it offers both fly reel drag systems for added versatility. All internal components covered and shielded to protect from salt waters and grime. Look for a large arbor to make sure you have lots of room to lay line and retrieve quickly when reeling in the big bass fish since they tend to make a run for it once they bite. Are you new to fly fishing and not sure what equipment you need? Great! Let’s get some of those questions answered. A newcomer to any sport has a lot of questions and everything seems a bit too much. We can break it down a bit so that fly reel fishing and the equipment needed makes a bit more sense for beginners. Think quality here. A good fly line is critical to great fly reel fishing. You don’t know it yet but a good quality line affects everything from how the line sinks, floats and even how it loads in your rod the proper way. Spend some extra money on the good stuff. Get yourself a quality reel that is machined printed with CNC anodized coating for added protection. Don’t go for the cheaper ones made from inferior materials even though the cheaper pricing is tempting. You need a rod that is versatile and can withstand a lot of pressure from big saltwater fish. Choose a light yet durable rod made of quality materials. *Tip: Make sure the reel and rod are matched appropriately (don’t have a light rod with a heavy reel and vice versa) so that the balance of the equipment is right. As a rule of thumb, the bigger the fish you want to catch the heavier your rod needs to be. There are many different types of fly’s to use and it’s really dependent on what type of fish you want to catch. Do some research into what species of fish like which type of flies and buy the appropriate ones. The top fly reel brands on the market currently are Orvis, Hardy, Lamson, Douglas, and Redington. Look to these market winners when selecting your new reel. You can cast a super long distance with the super lightweight flies. Unlike other reels, and using the weight of the lure to cast, fly fishing uses the weight of the fly line. This makes it possible to cast long distance using very small flies like midges. It’s all in the presentation. With fly reel fishing, you can cast the fly more delicately and quietly than can with a spinning reel using a lure. Actually, if done right, you can drop the fly right on top of the fish without scaring them off. With spin fishing, it’s not possible to cast the lure and not make any type of noise or water splashes. Flies used with fly reel fishing are typically much cheaper than to buy lures. Look to spend double or triple with low-quality lures when using spinning reels. Room needed to cast your fly – You need a lot of open space free of trees, bushes, etc. so that your fly doesn’t get caught in anything. Fly reel casting takes more skill and time to master. It’s not as simple as pressing a button on a spin cast reel. Can be a lot of work in certain settings and different fishing environments. Fly reel fishing can be much more expensive than other reels. Everything from the reel to the line is more money than traditional spinner reels. Make sure to also check out our spinning reel buyer guide. Q: What are the main factors I should be looking for in Fly Reel? 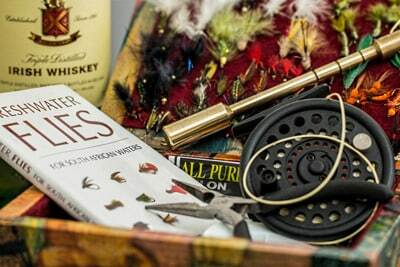 A: Some key factors that should be looked at when deciding on a fly reel should be reel materials ( what type of manufacturing process was used ), reel weight, if the rod and reel are the appropriate weight, what type of line you need for the arbor size and what type of drag system does the reel have. Q: What’s the difference between a fly reel and a spinning reel? A: Good question. It’s mostly about intent. Fly fishing is about fooling a fish with a fly that is made up of different materials. It’s more relaxed and some anglers have said “natural “way to fish. It does require a bit more challenge than a typical spinning experience but again it’s all about intent. Fishing with spinner reels is more or less meant to catch a lot of fish. It’s more versatile than fly fishing and has more option with baits and lures, etc. In short, the difference lay mostly where the intent of the angler is. Also, check out our choices for the best spincast reels out there. Q: What type of fish can I catch with a fly reel? A: Fly fishing is best known for catching trout or salmon, but it is also used for a wide variety of other fish that includes including bass, pike, panfish, and carp. Q: How are saltwater fly reels different from other saltwater reels? A: There isn’t much of a difference, all reels made for saltwater conditions should have (and most do) shielded parts that won’t allow salt to get inside the components and are made with corrosion resistant metals to ensure durability and longevity. Don’t forget to check the baitcasting reel reviews before making your decision. Q: Do fly reels need any special considerations with maintenance? To help, we also have created a guide with a few pointers on what you’ll need to consider before buying a fishing reel. Like all other reels out there, fly reels have distinct characteristics and benefits that anglers should be aware of. One of the great aspects of fishing with a fly reel is the great casting distances possible with the right gear. You can get a lot of distance between you and the potential fish that will be attracted to the fly you cast out there. When going through the fly reel reviews, pay attention to some fundamental things that you want to ensure your reel has. The best fly fishing reels on the market have strong anodized surfaces, CNC machined parts for durability and strength with a powerful drag system. These are critical to making sure your fishing trip is a success for years to come. Furthermore, if you are fishing in saltwater that you purchase a reel that has shielded components that will protect it from the harsh salty environment.